Peace in Our Time is coming to a close soon. 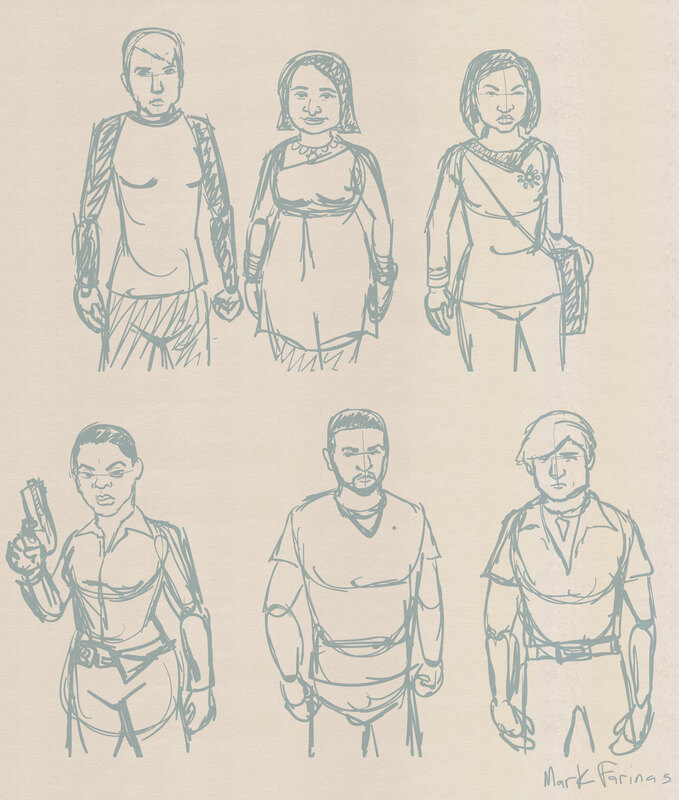 To celebrate what’s been the most widely read serial this comic has done yet here’s the original sketches for the main characters. It includes a pant uniform for Jin and a design for a detective character that was in an earlier draft of the script. Hell of a story. Some great characters. As usual.